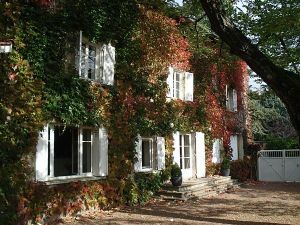 This family domaine, built by a Lyonnais professor of medecine in 1880, allies beauty and character. The owners have made a particular point of conserving its former prestige with timely details : stone walls, fireplaces, parquet. The part-glass front door opens into the reception rooms. A painted, grey staircase takes you to the first floor where a cosy atmosphere reigns over 2 bedrooms and a parents suite. Lastly, on the upper floor, you find 3 sloping-roofed bedrooms with a bathroom and toilet. The exterior has been worked on. The garden of approx. 2800 m2, overlooks a pretty view of the village rooftops. And because the master of ceremonies here is Good Life, a large swimming pool patiently awaits you to back of the property. The asking price is 785 000 euros.